Freshman state Rep. Kyle Biedermann sent a letter to mosque leaders and Muslim student associations in order to poll them about their beliefs ahead of Texas Muslim Capitol Day. Biedermann's office later provided a statement from the representative who touted his work on "border and overall homeland security. "The poll that went out was paid for with private funds and was sent out to gather responses in advance of my upcoming Homeland Security Summit," Biedermann said in the statement. On Jan. 31, days after Biedermann's summit is scheduled, Muslims from around the state are expected at the state Capitol for Texas Muslim Capitol Day, a biennial advocacy day for members of Muslim communities. 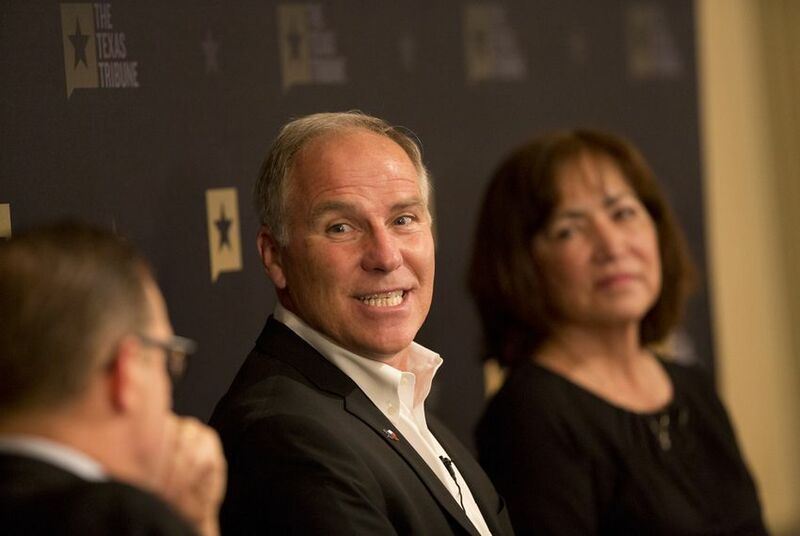 Started in 2003, the biennial event is organized by the Texas chapter of the Council on American-Islamic Relations to bring Muslim Texans to the Capitol to learn about the political process and meet state lawmakers. Mustafaa Carroll, the executive director of CAIR's Houston chapter, said they were moving forward with this year's event and would continue working to connect elected officials with Muslim constituents. “If they really wanted to understand American Muslims, they’d talk directly to us instead of sending these silly polls to test people in some propaganda that you put out there or that you're getting,” Carroll said. "I did leave an Israeli flag on the reception desk in my office with instructions to staff to ask representatives from the Muslim community to renounce Islamic terrorist groups and publicly announce allegiance to America and our laws," White posted on Facebook at the time. "We will see how long they stay in my office."